Celebrate your love with this Beautiful Romantic stickers app,Propose your love in elegant and unique way. This app offers you aseries of love for your chat. Please enjoy sending those stickersto your loved ones. You can choose from Heart Emoji, proposestickers, rose stickers, cute teddy stickers, love couple stickers,heart stickers and love Quotes. ♥ Share your love and care withyour loved one by sending these beautiful Romantic love emoji,Romantic Stickers and Emoticons over social network. Everyone wantsto propose their sweetheart in style and make it mesmerized usingbest proposing stickers. These stickers can be share easily to yoursocial media like Whatsapp, Wechat, facebook, Kik, Line, skype etcHighlights: ★ Beautiful heart touching stickers for sweetheart. ★Easy to share on social media. ★ Magnificent, Mesmerized &Awesome Propose Emoticons to share. ★ Most passionate Love Stickersaccording to mood. ★ Heart touching scenes of Stickers to sharewith others ★ Large collection of mesmerizing stickers to use. ★Can be share with any social platform. ★ Best Heart emoticons andRomantic smiley for love couples. ★ Updated love stickers monthly.How to use 1.Open the App. 2.Select a Category. 3.Share image orsmiley on WhatsApp or Facebook Special Features: # Best qualityTeddy and Romantic love emoji # Best quality Kiss emoji and funnyemoji # Awesomly magnificent Lovely Love scenes # An ultimatevariety of most love emotions and hilarious stickers to use. #Simple and adorable single tap share with any social networkingportal Note: 1. If you notice that any content in our app violatescopyrights than Please inform us through the mail ([email protected]) so that we remove that content. 😎 GIF support added! Now you can also send support funny GIFs toyour friends! We've started adding some African American GIFs, wewill be adding more in the next few days! Simply click Create NewEmoji in the top right corner and start designing your own uniqueblack emoji! Let us know with a comment in the review what youthink! AfroMoji Your messaging and chatting will never be the sameafter you install the black emoji, stickers and emoticons ofAfroMoji. You’ll instantly love the African emoji and stickers asthey are cool, funny and exceedingly original. Versatile andinteresting, this Afro emoticons app will surprise you with thequantity and universality. 😆 COMPATIBLE WITH MESSAGING APPS Fromextra afro american smileys and cool Afro stickers, to funnyAfrican American emojis and other emoticons, you are all set up touse them for WhatsApp, Messenger, Kik and other chat apps. With ahuge selection of Afro American black emojis you can finallyexpress how YOU feel. 😀 👆FREE TO USE These funny, cheeky andhilarious stickers are totally FREE to use and we think that youwill never find cooler african american emojis for Android! Noadditional payments, no tricks, just download and use! AfroAmerican emoji stickers that can’t be found anywhere else. Addanother dimension in your everyday chats! 😉EXPRESS YOUR TRUEEMOTIONS Always show how you feel through cool black afro emojis,whether you are smiling, kidding, being angry or maybe sad. Justfind the appropriate african american emoji black stickers andemoticons and use in your favorite chat app! The coolest emoticonsare just one click away! 🎉 NEWLY ADDED! Create your own emoji! Wehave added a new, funky, cool, amazeballs emoji editor where youcan drag and drop your own emoji together. You can select a bodytype, head, face, accessories, sayings, emotions, and sooo muchmore! 🆒 COOL COMPANION FOR YOUR JOKES AND RESPONSES Don’t you loveit when you send the perfect emoji for the perfect situations. Likesending the perfect smiley or hilarious afro American emoji whenyou are really laughing like crazy with your friends? Well you willsurely find stickers and emoticons for that will find context inyour convos. We have one of the largest black stickers selectionwhich showcase great reactions and can be the best companion to ajoke, sarcastic comments, serious moment and response to someone’smessage. Browse through our lovely designed black afro emoji &stickers and make use of our lovely creative designs. 💫AfroMojiFeatures: ✔️ The black emoticons and stickers inspired by Africanculture are totally free to use ✔️ These afro american black emojisand emoticons are all original designs ✔️ One of the widestselections with smileys and emoticons for each situation in life ✔️You will always keep your AfroMoji's on your phone! ✔️ Start usingthe black stickers fast and easy - It's quick to use and easy toshare! ✔️ Simple intuitive way to download and use ✔️ You can usethe African American emojis unlimited! ✔️ We always add new freeblack afro American emojis ✔️ Battery & RAM friendly designs –will not affect phone’s performance. --------------------------- 📲WE NEVER STOP We never stop working to create the most unique andfunny black African emoji, emoticons and stickers! So, keep thisapp updated as we will be putting in even funnier and diverseAfrican emoji with every update, to keep you happy! Wait for funsurprises! ⁉️HOW TO USE? Simply go into the AfroMoji app, selectthe emoticon or sticker you wish to send, select your chat app (forexample WhatsApp) and finally select the person you wish to sharethis sticker with. As easy as that! Get AfroMoji for free now andnever have boring conversations ever again! The best Emoji Maker ever, make stickers easy with the new StickerMaker, create your best animoji, design and create new Emojis.Always the same Emoji or Sticker? Can you imagine create your ownemoji? with Emoji Maker you can create your Photo Emoji 100% free!‣With this Emoji Maker you will be able to make an infinity ofStickers for Google Keyboard 100% free of charge 😍, Whenever youuse your Emoji, Sticker, Animoji , Stickers for Messenger, Sickersfor Google Keyboard, Animoji for Facebook or fun Animoji forInstagram.💜 You will be able to make and send your personalizedEmojis expressing your feelings and creativity through these fun.‣With Emoji Maker you will be able to create love stickers ❤️heart, animal stickers 🐶 unicorn, pug, original emoji and stickerspizza, android, scary stickers 👽alien different and unique Emojis👾. ‣With Emoji Maker create our own emoji with the famous unicornEmoji, Star Emoji, the fun ghost emoji or with many other Emojisthat are different and original in this App. Use the little Emojisto decorate photos and give them a personal touch assign😎 to yourcontacts 📱. Starting now there will be more than enough ways toexpress everything you want through your favorite emoji. Get nowthe best Emoji Sticker Maker & Emoji Maker what you can find!‣With Emoji Maker you will be able to create your Animoji whateverway you like, you will be able to add hundreds of accessories toit: from punk hair to colored hair; heart shaped eyes, purple eyes,sunglasses or colored glasses, hats and caps of all kinds, mouthswith or without teeth, carnival masks or hippie headbands, evenhipster beards or mustaches, feet and hands and so much more….There are thousands of possible combinations. So what are youwaiting for? Start having fun and build some Emojis! 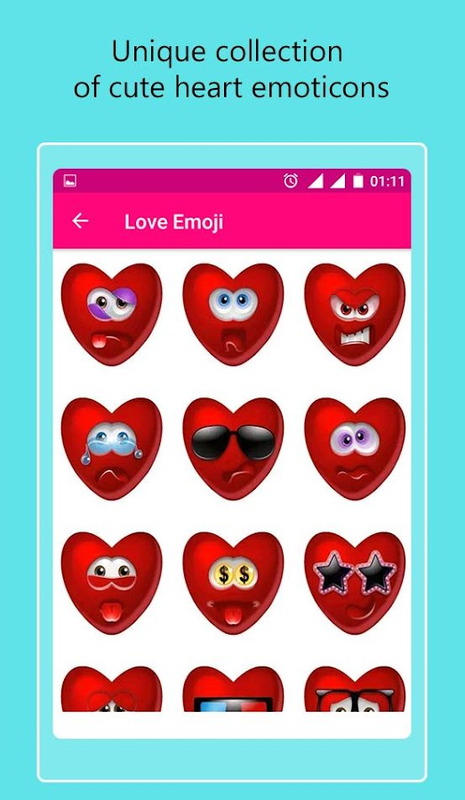 with the EmojiSticker Maker 🐙 ‣Once you’ve build your emoji, you can save it inyour photo gallery and make your own collection of Stickers 😝 andshare easily with WhatsApp WAStickerApps for free. Get fun withEmoji Sticker Maker😊. ‣Emoji Maker has an Animoji Community 😆 whereyou may register easily and quickly and where you will also get toshare your best Stickers with the whole Emoji Sticker Community. Inthis community you will see other user’s emojis and you can uploadthe ones you like. Amazing, right?💙 ‣With Emoji Maker you can makeyour own stickers for WhatsApp WAStickerApps . Finish your Facebookpublication with a fun emoji or sticker. Make your Messenger andWhatsApp WAStickerApps conversations more enjoyable with funnystickers, different stickers and original 😜 Emojis. Build emojisfor Snapchat and publish pictures to Instagram with these littleEmojis. So now you now, download the best emoji sticker maker appfor Android that you will ever find 🔝 ‣With Emoji Maker don’t waitany longer and start creating your stickers for Messenger 😀. Weguarantee that the emojis you create will lack nothing over theones. Theirs will be boring next to yours. So start using thisgreat App and create great stickers. Send Love stickers, romantic stickers, Christmas stickers, freestickers, cool stickers, heart emoticons and flirty stickers onchatting apps.Presenting the most popular stickers and cutest loveStickers for your love chat, Make chat a heart felting and melodiesexperience by adding these Romantic stickers and have a great timesharing these free stickers. Our Christmas Stickers providesyou the best Merry Christmas stickers by which you can make yourchat more lovable and special with your Special Friends. You cansend Christmas ball, Christmas bell, Christmas party stickers,Christmas gifts stickers through this Christmas emoticons app.These Love Emojis, love Gif, Heart emoticons, smiley emojis, LoveChat stickers can be share easily to your social media likeWhatsapp, Wechat, Kik, Line, skype etc.Enhance your love bondthrough kiss emoji an flirty stickers. Send most romantic kissemoji to your girlfriend/boyfriend.Love Stickers is the mostbeautiful app to express the best and the most beautiful loveemotions, heart emoticons in between two love hearts.Celebrate thisChristmas Eve in super fun mood sharing beautifully designedChristmas emoji, Christmas emoticons and Christmas ball. Christmasbell and Christmas gifts can also used as Christmas partystickers.Stay happy in distance relationship by using these mostromantic emoji collections of love chat stickers and coolstickers.Wherever your love partner is not with you, let them feelspecial every single moment by sending these heart stickers andflirty stickers. Give your romance a special feeling by usingromantic stickers and flirty stickers. These romantic love chatstickers help you to feel your love in best way possible.Decorateyour Christmas photos with Christmas photo stickers, cool stickersand merry Christmas stickers.These beautiful collection of romanticstickers and love emoticons will explain your heart feelings inbest way possible.Happiness looks super elegant on everyone facewhen you give the special touch of love in the form of heartstickers and flirty stickers.Now This Merry Christmas Day you andyour friends can easily Share love and Bonds of Christmas festivalthrough these smiley emojis, Emojis Stickers, ChristmasStickers,Free Stickers, Stickers for Facebook, Stickers forWhatsapp.Love Chat stickers app has included large variety ofromantic love stickers, roses stickers, Love GIF stickers, heartstickers, teddy stickers, Christmas emoji.Free Stickers that have abest quality of romantic love stickers, even you want you can’tstop without sharing these love stickers with your lovepartner.Enjoy these cutest collections of romantic love chatstickers and Romantic Emoji.Love stickers highlights:• Share theseLove emojis with your loved one.• Nice and beautiful popularstickers collection of heart felting Love stickers ever.• Sharebeautiful Christmas emoticons as Stickers for Facebook.• Mostpassionate Love GIF makes you smile every time you share theseromantic love stickers with your love one.• Fascinating collectionof Love Emojis, love Gif , free emoji, heart emoticons sticker onsingle platform.• Beautiful categories of Free Emojis and Smileysstickers according to mood.• Collection of Christmas ball,Christmas bell, Christmas gifts & Christmas party stickers.•Celebrate your everyday As valentine day using these round shapedlove romantic heart stickers and free emoji stickers.• Celebrateyour everyday As Christmas Day by using these Ultimate Collectionof Christmas stickers and Christmas emoji.• Ultimate collection ofrose stickers, Love Emojis, heart emoticons.• Teddy bears stickersand popular stickers for different mood/feelings.• HD quality ofLove GIF and heart stickers with heart felting mood.• Cool stickersand Free emoji for best social chat.• Use these free stickers asStickers for facebook.• Amazing Quality of Christmas emoticons forChristmas Eve.